Wash the garbanzos and thoroughly remove the water. Place on a paper towel to dry completely. Stir once in a while and let brown, at least 20 minutes. Once they’re ready sprinkle with paprika. Store in a sealed container or a bag with a seal. You can cook them in the oven if you like. Simply spread the garbanzos on a tray and be sure they’re we soaked in olive oil and salt. I love garbanzos and I cannot hide it. I love them so much that during the time I worked in an office I would take a little bag of them with me to munch on while I worked. One day a week I would prepare this simple recipe, I would just fry the garbanzos in olive oil and then season them with salt and paprika. Finally, I would pack them into individual baggies and enjoy them all week. If you like spicy foods you can add a bit of chili powder, though I have yet to try it. 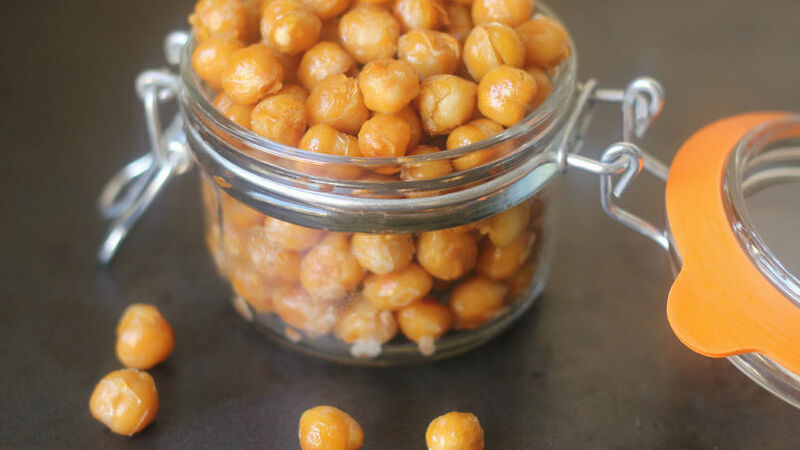 Now that you have the recipe, enjoy this tasty snack and take it with you wherever you go!